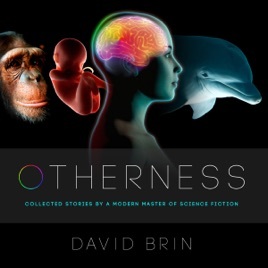 From Hugo- and Nebula-winning author David Brin comes this extraordinary collection of tales and essays about the near and distant future, as humans and other intelligences encounter the secrets of the cosmos - and of their own existence. In "The Giving Plague", a virus transmitted by blood donation begins to change humanity. In "Dr. Pak's Preschool", a woman discovers that her baby has been called to work while still in the womb. In "Natulife" a married couple finds their relationship threatened by the wonders of virtual reality. In "Sshhh..." the arrival of benevolent aliens on Earth leads to frenzied madness as humans rush to conceal their secret 'talent'. In "Bubbles" a sentient starcraft reaches the limits of the universe - and dares to go beyond. What happens when an urban archaeologist discovers a terrible secret under the landfills of Los Angeles? Will there still be a purpose for "biologicals" when cybernetic humans become mighty and smart? Come explore these and another dozen startling and provocative tomorrows with a modern master of science fiction.